Creating the right atmosphere is all about colour, design, placement and balance. If you look around your own room, you may see a specific style or atmosphere starting to emerge. Alternatively, you may have planned out every aspect of your room to create a certain feel. For those less experienced individuals who may find themselves heading down a design path, with no end in sight, help is at hand. If you have just filled your room with things that you like, with no particular ‘final vision’ then you may be looking for a way to tie it all together and create a stylish and beautiful space. I’m here to tell you that it is possible, with one simple addition. 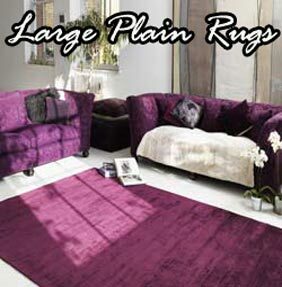 A large, plain rug! It really can be that easy. Now you know what you need, you have to find it. The first thing to think about is colour. This may take a bit of time. Look around your room – do any specific colours pop out? What colour do the majority of your pieces have in common? Once you have found this colour and you are happy to make it your accent colour it’s time to find a rug. There are a variety of online retailer who offer excellent advice on quality, style and colour choices, so don’t be afraid to take your time and look for the right rug and the right seller. Measure your space so you know what size rug you need – a large plain rug will probably suit the space more as it will need to tie together all your other pieces. So don’t be afraid to go big and enjoy your new, beautiful rug and your newly styled interior.